Allplan Deutschland GmbH is a leading European provider of Building Information Modeling (BIM) solutions. 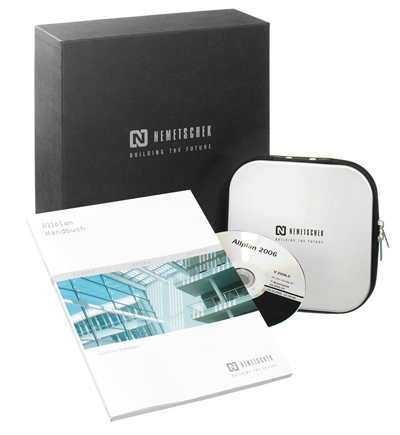 The company, headquartered in Munich, was founded by prof. Nemetschek in 1981 and since then has been part of the Nemetschek Group. From the beginning, the focus has been on the concept of virtual building models, the foundation of Building Information Modeling (BIM). The flagship product Allplan offers high performance solutions for architects and engineers. These are supplemented by the Nemetschek Group’s solutions for visualization (CINEMA 4D), structural analysis (SCIA Engineer and Frilo Static). 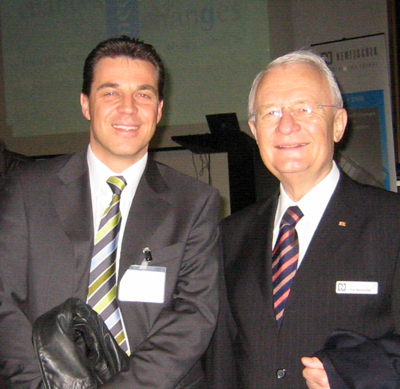 Prof. Georg Nemetschek, the founder and deputy chairman of Nemetschek Group was born in 1934. He started using design software in his own engineering office in the late 1960s, long before computers became available for personal use. In 1970 he was appointed professor for Civil Engineering Informatics at the Munich University of Applied Sciences and later served as dean of the Faculty for Civil Engineering from 1977 to 1996. He paid special attention to providing students with practical training. 1963 Georg Nemetschek founds his engineering office. 1968 Georg Nemetschek’s office is one of the first companies in the construction sector to use computers in buildings’ planning and construction. They started developing software for engineers, at first only for personal use. 1977 Nemetschek’s first software program is developed "Programmsystem Statik 97_77". The calculated values are printed on paper strips and glue into the structural analysis plans. 1983 Nemetschek Programmsystem GmbH begins to distribute its products in Austria and Switzerland. 1984 Allplan V1 - the first version of Allplan CAD system for architects and engineers is launched. 1987 Allplan V3 is released. The company logo carries the message to the customers: "We support you as a strong partner today and in the future." This motto still applies. 1988 -1992 Due to company's expansion additional branches and subsidiaries are open. The name of the product becomes the name for the subsidiary Nemetschek Allplan GmbH. 1988 Planners can use Allplan to create 3D models and perform hidden-line calculations. Directions on how to enter the parameters are provided in thе user manual. 1990 With the launch of Allplan V6 Nemetschek Programmsystem GmbH follows the motto “Think of the Whole.” The company is the leading systems vendor of CAD software in the building industry with 150 employees. 1991 "We connect worlds" says the slogan on a poster from the 1990’s. This motto still applies today: Nemetschek software builds bridges – across rivers, between planners, engineers, contractors and designers. 1992 Allplan V7 is released. Since 1992 the new high-performance Allplan version makes it possible to visualize complex buildings in three dimensions. 1994 Allplan V10 is released. Allright, an AVA and expense management solution that interfaces with Allplan is introduced. 1995 Actual wireframe model on a box used for delivering the manuals. 1996 Allplan V12 is released. 1997 Nemetschek AG is found. Professor Georg Nemetschek heads the new company as CEO. With the “Object-oriented Product model Engineering Network” (O.P.E.N. ), Nemetschek introduces a database-centered platform, now known as “Building Information Modeling. 1998 Allplan V14 is released. Numerous acquisitions: Frilo, Glaser, Bausoftware (now Nevaris), Crem. 1999 Allplan V15 is released. Nemetschek AG goes public. Acquisitions: Maxon and Auer (now Nevaris). 2000 Allplan V16 is released. Group headquarters move to new premises at the Munich Fair. Acquisition of Vectorworks. 2001 Nemetschek AG’s corporate headquarters move to a new location in the “Center for IT in Design, Construction and Management” near the new tradeshow grounds in Munich. 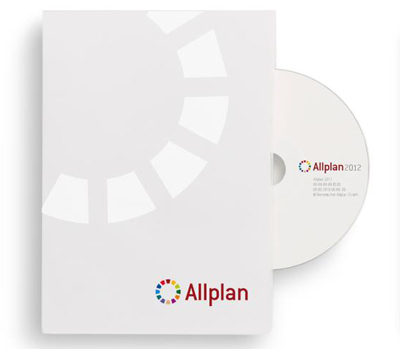 2002 Allplan 2003 is released. 2003 Allplan 2004 is released. 2005 Allplan 2006 is released. 2006 Graphisoft and Scia become subsidiaries of the Nemetschek Group. 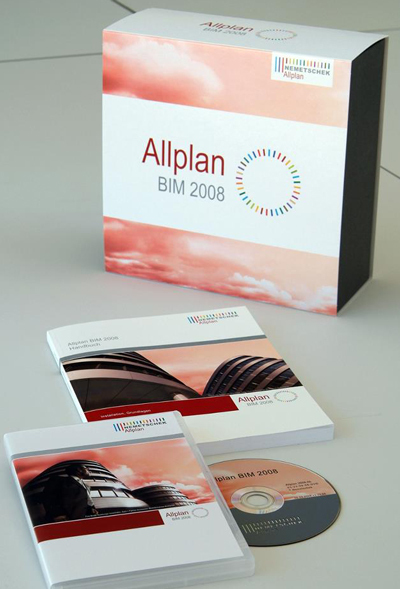 2008 Allplan BIM 2008 is launched. Allplan GmbH (formerly Nemetschek Allplan Systems GmbH) is founded as a 100% subsidiary of Nemetschek AG and operates in the core area of development and sales of CAD, AVA, and facility management software. In parallel, Nemetschek AG develops a new corporate identity as a finance holding company and positions itself as an international firm with ten strong brands. 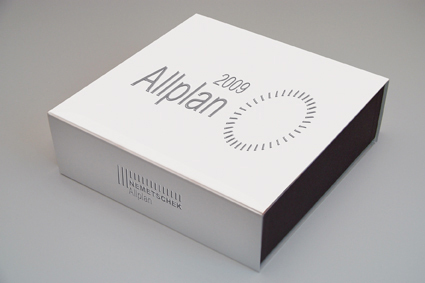 2009 Allplan 2009 is released. Allplan Campus, the Allplan web based portal for teachers, professors, and students goes live under campus.allplan.com. 2010 Allplan 2011 is released. 2011 Allplan 2012 is released. Allplan Connect, the international service portal for Allplan users, goes online. 2012 Allplan 2013 hits the market. The Munich-based Nemetschek Allplan Group, comprising of the technology company Nemetschek Allplan Systems GmbH and its local distributors, is a leading provider of CAD software for planning, building, and management of buildings with more than 400 employees in nine countries. Its component-based software is available worldwide in 18 languages. 2013 Allplan comes with Unicode and drives increasing internacionalization of the company. Aquisition: Data Design Systems. 2014 "Allplan 30 Year Edition" - an exclusive Allplan anniversary edition is released with the motto 30 years of Total Quality.